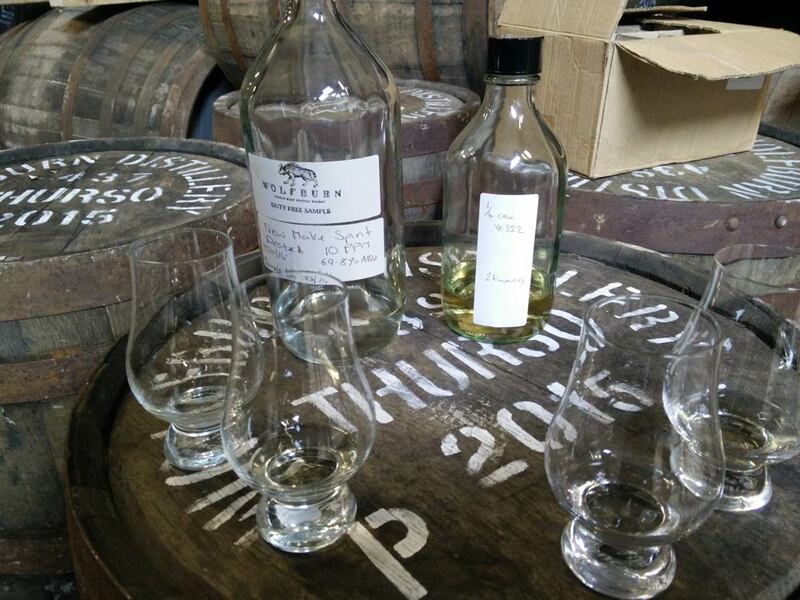 “Which kind of glass would you like – Glencairn or Classic Malts”? That question, by malt mate Keith Wood, ignited a thought process in my mind. I was sitting in his dramming den, relaxing in a comfy leather armchair, when he hit me with the question of all questions. Up until this point, the “classic”, specially designed and sturdy Glencairn crystal glass had been my go-to whisky glass I always reached for. 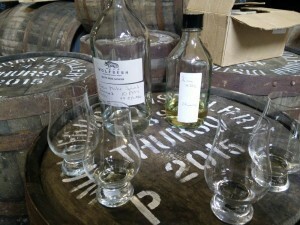 The first time Keith asked me that question I, naturally, wanted a Glencairn. On my second visit, I tried a Classic Malts glass for the first time after a long break. 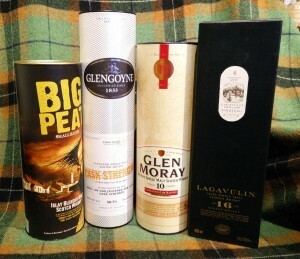 It was certainly a very good whisky glass and I enjoyed my drams from it. And then my mind started to wonder: Which one is really the best whisky glass for me? Avid readers of my blog will know I used a Classic Malts-style glass for my first couple of reviews, I actually don’t remember why I switched. 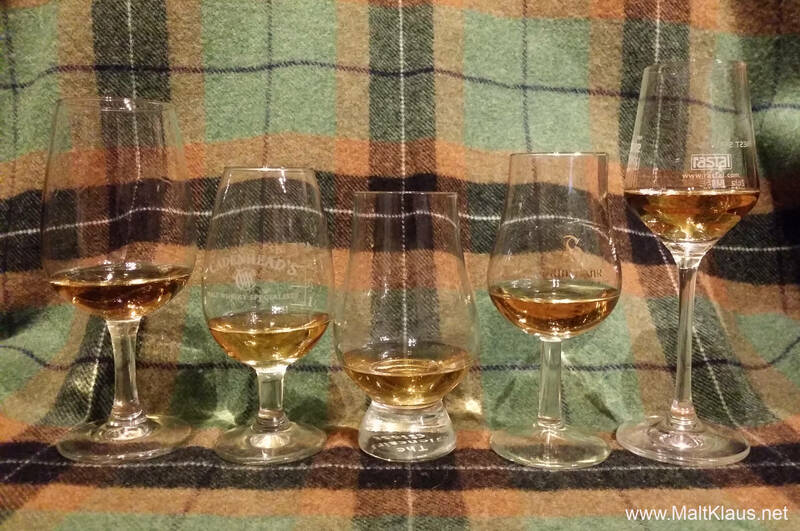 Thus it is high time I methodically compared some of the different kinds of whisky glasses I have at home with different malts to see if there are differences, and if so, how big they are. And, just maybe, I’ll choose a new standard whisky glass going forward. This test of course only reflects my own opinion and other people might come to different conclusions, but I’ll try to keep the descriptions as universally usable as possible. Deliberately leaving out all kinds of fancy one-off branded glassware and other glasses I know not to be very good (the smaller half-size “Glencairn-style” ones you often get at distilleries come to mind) I chose four classic glasses to compare and added a fifth, odd-shaped one as a sort of “control-glass” that just has to be different. Now, you might be asking why I didn’t include new bespoke whisky glasses, which have appeared on the market recently. The reason is simple: Without trying them first my inclination to shell out 20+€ (even more including shipping) for the next hot thing on the glassware market is rather low, when standard glasses, which work perfectly fine, are between 3€ and 6€ (and sometimes “free”), so I don’t have any of those to test, sorry. Besides, this should really be a test of classic, well-known, widely used styles of whisky glassware. Highland Park ICE or: Where’s the ceiling? 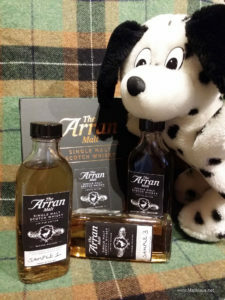 I don’t often feel inclined to post a short opinion piece, but I just had lunch and sat down with a cup of coffee in front of my computer to look at new arrivals at whisky shops. That’s when I saw the new Highland Park ICE on offer. Let’s put it that way: Coffee stains on my keyboard and screen when I saw the price. Highland Park ICE. The latest instalment of Highland Park’s highly collectible series of whiskies. There are 30.000(!!!) bottles worldwide. That’s hardly “limited” by any standard, most distilleries have much smaller batches with their regular bottlings. In essence it is 17-year-old whisky, selling at 350€ a bottle. 350€! Their very good standard 18 year-old is already sold at a steep price – and it’s “only” 100-125€. If you’re lucky, you can get four bottles on offer for the price of one bottle of this new limited edition. I am scratching my head here. Did I miss something? Is Highland Park a lost distillery, closed for 10 years or longer? Is there a pure gold stopper on the bottle? Or did the queen sign them? Or perhaps the queen’s poodle sniffed the vatting tank? What’s the heck is going on here? In my opinion this bottling is displaying everything that’s wrong with the whisky industry right now. 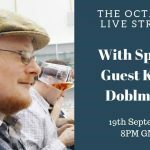 It will be talked about not only amongst whisky enthusiasts (heck, I’m even giving them publicity here, even if it’s more of a rant so I too fell into the trap…). 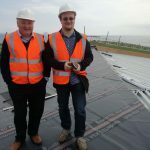 It is one of many puzzle pieces as of late changing public perception of whisky being that of an elite luxury, a dream only rich can fulfill, worse, a snobist’s tipple. Whisky used to be a tipple of which nearly everyone could afford a “special” bottle for special occasions. These days the market is increasingly divided. I have to congratulate Highland Park and their marketing team for pulling it off, though, and I’m dead serious about this. 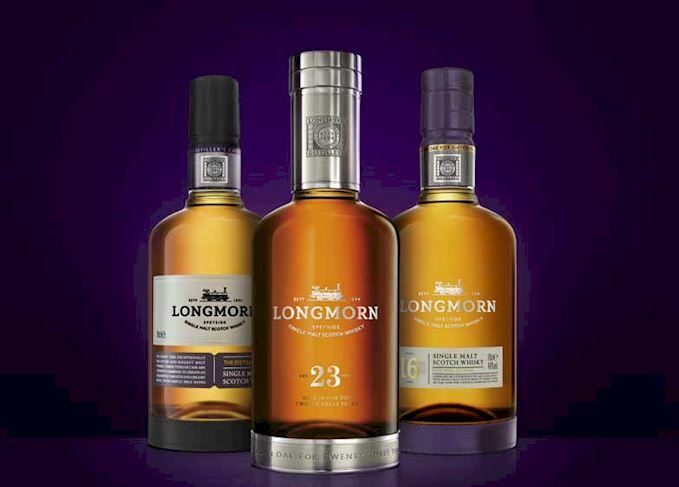 It takes skill, a great reputation, a large following of collectors and devotees, predecessor bottlings which are highly sought after and a superheated market to be able to place a bottle of whisky in pretty high volume at such a price level. Not everyone can do it and I’m sure it will be a quick sell-out. Don’t get me wrong, I’m sure it’s a lovely dram and if you head out to buy and enjoy it – good on ya, no envy involved, enjoy it with a few mates as intended. But, in the end, it’s still “just” a very big batch (30.000 bottles amounts to roughly 150(!) barrels at 200 bottles each) of 17yo ex-bourbon matured whisky that isn’t any more expensive to produce than the standard expressions (except for a few additional coins for the admittedly very nice packaging – which you can’t drink). Right on, Andy – great suggestion! I’ll gladly pick up this ball and run with it. So, here goes. 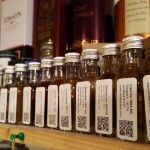 I took a list of all Scottish single malt distilleries and looked at the current officially bottled market offerings of all of them (Austrian/German markets). In the end I came up with a few suggestions of Scottish whisky distilleries which seem to still care for us regular punters looking for quality drams at still reasonable and affordable prices in today’s high-price market. 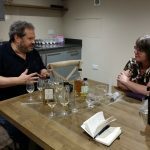 I tried to stay as objective as possible during the whole process but, of course, there is always personal opinion and preference and not everybody might agree with me – which is perfectly fine as whisky is a very individual drink! Those are just my recommendations – imagine me walking a mate through a liquor store pointing out individual bottles and distilleries as we go along. 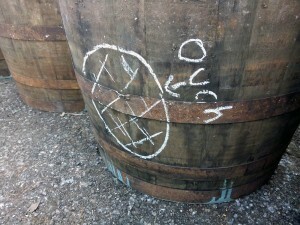 This cask needs a medic – does the industry need one too? I love browsing the different whisky retailers’ websites, discovering all the new releases and shiny new bottles on offer. Or should I say “I loved”? Browsing the online shops nowadays leaves me mostly indifferent, sometimes saddened, and with less excitement every single time. 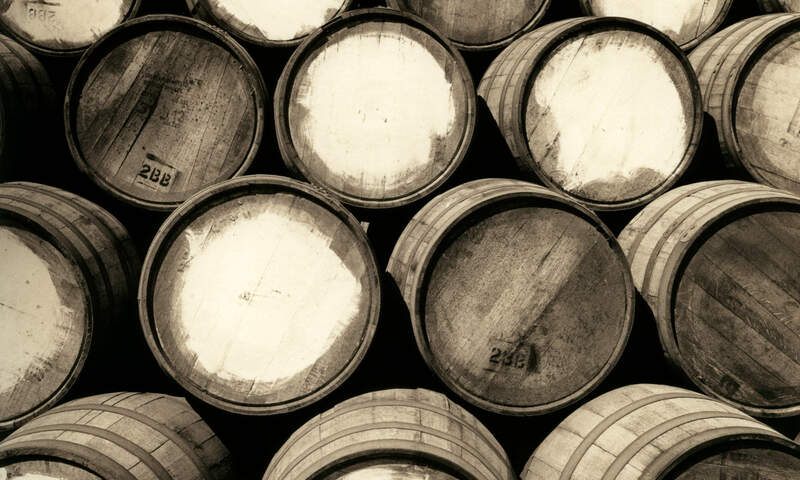 Scotch Whisky production, warehousing and export statistics number crunching. 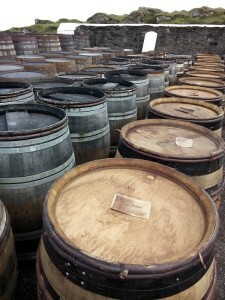 Or: How old is the majority of Scotch Whisky when it is bottled? Which side of the “NAS vs. Age Statement” debate are you on? Do you boycot NAS whiskies? Do you buy everything you find tasty regardless of what it (doesn’t) say on the bottle? 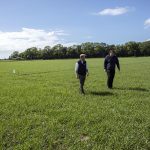 The heated arguments have been cooking for quite a while now and I’ve been meaning to write a blog post about this minefield for quite some time. I’m a bit late to the party, I know, but I really wanted to make a post painting the whole picture about the topic. In case you’re new to the scene: “NAS” stands for “no age statement” whiskies.